Schedule time to experience Retül Bike Fit Technology and make better fit decisions. A great bike fit allows for an experience with more comfort and better performance. 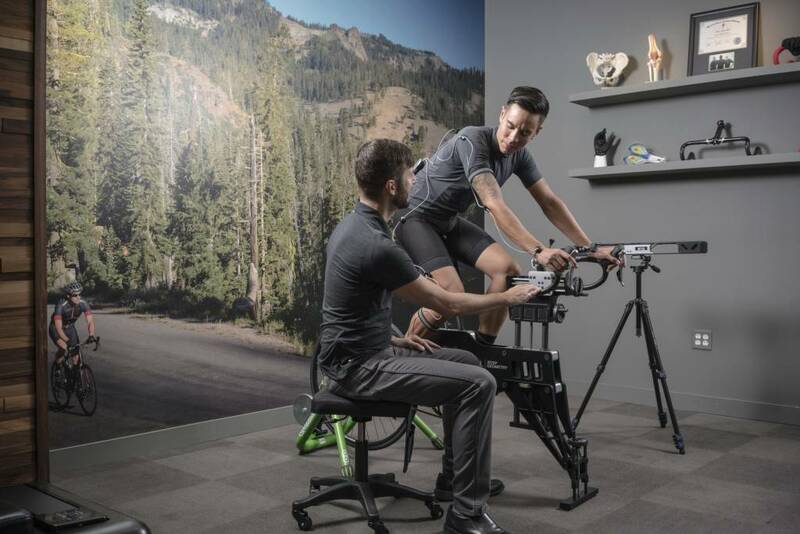 ▪ The fitter conducts an initial physical assessment of the rider, and at this point can address the rider's concerns about performance, pain, or any other issues the rider hopes to alleviate during the bike fit. ▪ LED markers are strategically placed on eight anatomical points of the rider: the wrist, elbow, shoulder, hip, knee, ankle, heel, and toe. ▪ As the rider pedals, Retül's sensor bar gathers real-time, three-dimensional data of the rider's pedal strokes and movements. ▪ Retül's rotating platform allows the fitter to collect data for both sides of the rider without the rider leaving the bike. ▪ The rider's data is compiled into a reader-friendly report for analysis by the fitter. The fitter can then assess the rider's position and make necessary adjustments. ▪ The Zin, Retül's handheld digitizer, allows the fitter to digitally measure the rider's bike at 13-15 points, depending on the bike. The Zin can measure fixed points, contours, and curves, and provides a complete digital map of the bike. ▪ The fit information is saved and stored on the fitter's computer. ▪ The data includes the rider's personal profile, measurements from the fit, bike measurements, and the rider's final fit position. ▪ The fitter will be able to access and print these records for comparison and tracking of historical fit data for the client.